Amanda, 29, opened up to Us Weekly about how she believes she has finally found The One in boyfriend Bobby Jacobs. "After my last couple relationships, I was so discouraged. I also had this feeling like, 'Okay, I'm 28 and I'm single. But I also have two kids, so I'm in no hurry to find someone,'" Amanda, who shares children Kinsley, 7, and Charlie, 5, with ex-husband Nick Buonfiglio, told Us. "When Bobby and I first started dating, I bailed on him a few times, because dating wasn't really a priority for me. But as soon as we met, I instantly liked him." Amanda and Bobby, who cofounded the Tillow -- a towel and a pillow put together -- went public with their relationship in May 2018. Amanda gushed about how Bobby, 33, is "so sweet and genuine." "He doesn't say stuff he doesn't mean, and after being with so many guys who just tell me what I want to hear, that set him apart," Amanda said of the athlete. Amanda fell into Bobby's arms after a failed marriage to Nick, a short-lived romance with former The Bachelor star Ben Higgins, a tumultuous and seemingly volatile engagement to Josh Murray, and a highly-publicized split from Robby Hayes. Amanda therefore insisted she's not in any rush to tie the knot with Bobby, although she does "hope" they will "get married and have another baby." The aspiring fashion designer said Kinsley and Charlie view her boyfriend as "the guy that's always around." "He's always helping them with things. So, I think he's like a father figure to them," Amanda revealed of Bobby's relationship with her adorable girls. "Charlie says that he's her best friend," she added, "so it's really cute." After competing on The Bachelor's 20th season in 2016, Amanda appeared on both Season 3 and Season 4 of Bachelor in Paradise. 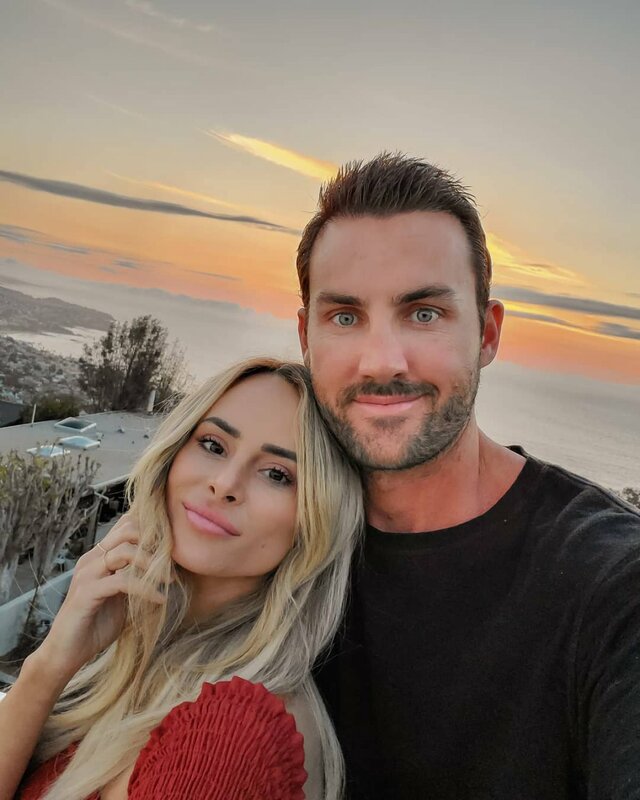 Amanda got engaged to Josh during the finale of Bachelor in Paradise 3, but they split in December 2016.